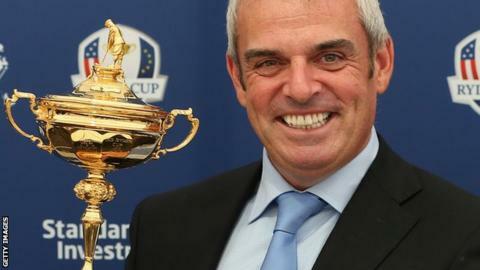 Europe's 2014 Ryder Cup team will be announced after next year's Italian Open on Sunday, 31 August. Nine players qualify automatically - the first four coming from the European Points List, and the remaining five coming from the World Points List. Captain Paul McGinley will name his three wildcard picks the next day. "The Italian Open is steeped in history," he said. "And I look forward to being in Italy when the nine automatic qualifiers are determined." The Ryder Cup will be held at Gleneagles in Scotland from 23 to 28 September 2014, while this year's Italian Open was won by France's Julien Quesne in Turin on Sunday. Italy's Francesco Molinari, whose halved match with Tiger Woods ensured Europe won the last Ryder Cup outright, said: "It's great news for the Italian Open. "You only have to look at how successful the tournament has been this week, and hopefully the Ryder Cup points finishing here will add to its profile. "There is a long way to go, but it would be pretty special to qualify for the team at the Italian Open - that is certainly the goal." Qualification for Europe's 2014 Ryder Cup team began at the Wales Open at Celtic Manor at the end of August, while the venue for the 2014 Italian Open has yet to be decided.